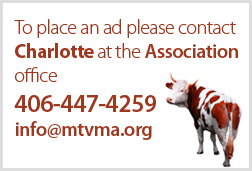 MVMA Members may post practices for sale on this page at no charge by emailing Charlotte the posting: [email protected]. The posting will remain up for 3 months. Please click here for non-member pricing. Live in Ontario, Ontario, a friendly, supportive community on the Oregon Trail, and own a well-equipped, small animal practice. This is a diverse rural area, close to skiing, fishing, cycling and hunting with good schools including a community college. It is within 50 minutes of the 24 hour referral/emergency hospital in Boise. Established in 1990, this practice serves Southwest Idaho and Eastern Oregon. Hospital and separate boarding/grooming facility sit on 1.5 acres with room to add a large animal setup. Grossing over $550K. Contact [email protected]. Veterinary practice for sale by owner. Located in the Flathead Valley of northwest Montana. It is currently 95% small animal but was 40% large animal until five years ago. The clinic was built in 1990 and a 1200 sq. ft. addition was added in 2005, totaling 2500 sq. ft. The clinic sits on two city lots with the Mission Mts. in the background. The asking price includes real estate, practice, X-ray, lab, ultrasound, indoor and outdoor runs. Equipment and inventory all included in asking price. Owner ready to retire. Contact by phone at 406-745-2473 day or 406-745-2444 evenings.